Oriya is only spoken by four percent of India’s population, but India is a big country, and that four percent is actually forty-four million people, nine-hundred-thousand of which are Christians. It is not easy to follow Christ in Odisha, where most Oriya speakers live. During the Kandhamal riots of 2008, some small villages in rural areas were targeted by extremists who killed a pastor in Mukundapur, a small village in Gajapati District. Persecution is a regular occurrence in Odisha, which makes it difficult to build churches and make disciples. 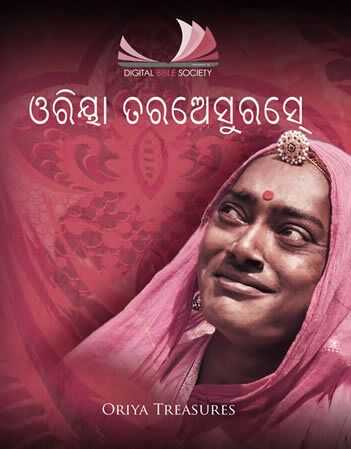 Oriya Treasures is designed to meet the needs of the church on Odisha. It contains Bibles in text, audio, and video formats. It also contains books and other resources intended to help the church introduce new believers to the riches of God’s Word. You can freely download the Library on the other tab. You could also "Pay it forward" and buy a copy of this Library for another person who might not be able to afford it. We do not profit from the sale of Libraries.